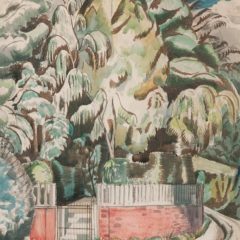 Paul Nash’s groundbreaking inter-war landscapes which transformed the genre of British landscape painting feature in this new exhibition curated by John Stezaker at York Art Gallery. 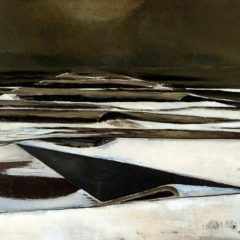 The violent upheaval of the pastoral and romantic landscape caused by the First World War had a significant effect on Nash and his work that followed reflected this. 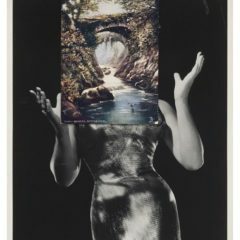 In this unique exhibition, Stezaker considers how Nash and his contemporaries portrayed an estranged sense of unreality focused on the representation of the everyday world. Stezaker explores this new lease of life for landscape painting in the post war period, highlighting the profound influence Nash has exerted over artists throughout the twentieth century and still today. 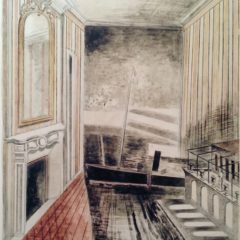 The exhibition also includes works by Stezaker including new landscapes created in response to the themes of the uncanny landscape. 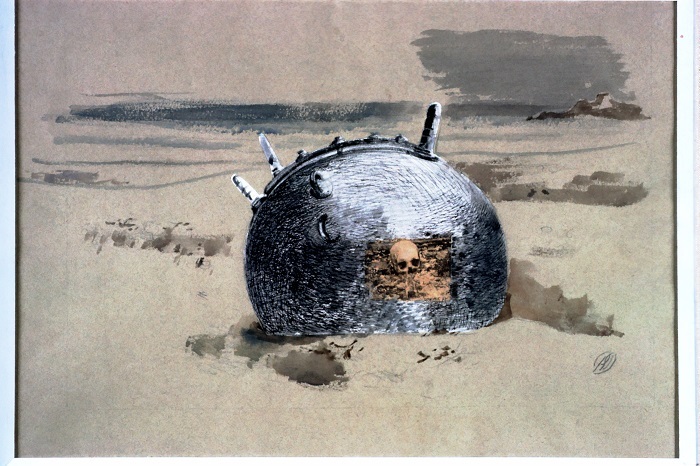 A private collection of rarely seen Nash drawings, paintings, photographs and ephemera is also on display. 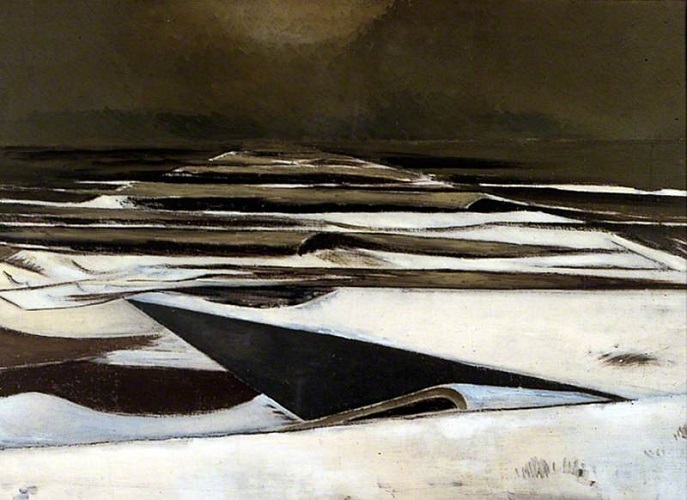 “Paul Nash’s work represents a watershed in British landscape painting. His First World War paintings are probably his most famous works. But it was in the immediate aftermath of the war, when Nash was working in Dymchurch, that a much more disturbing spatial order emerged. 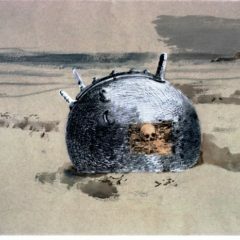 A dystopia created by the technological clearing of war, it represented a new variety of the uncanny in the dominated landscape of post war Britain. The exhibition draws on loans from public and private collections, as well as works from York Art Gallery’s own collection. 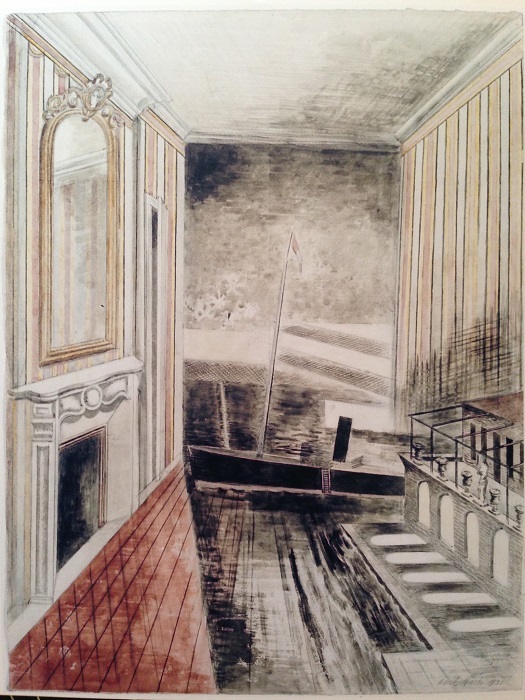 Nash’s works feature alongside art by Stanley Spencer, John Nash, Edward Burra, William Townsend, Henry Lamb, Sydney Carline, Tristram Hillier and Cecil Collins. A second gallery shows Stezaker’s works including recent landscape works which demonstrate Nash’s influence. Stezaker, who won Deutsche Borse photography prize in 2012, creates surreal and seductive photographic collages using images from books, magazines and postcards. The landscapes draw on the geometric patterns and “uncanny” nature of Nash’s works, combing different images to create new scenes that both fascinate and unnerve. Just like Nash’s work 100 years ago, Stezaker’s works present us with a shift in attitude towards art and the landscape as well as an unfamiliar look at the familiar. A third gallery will show loans of pictures, photographs and memorabilia relating to Nash from a personal private collection. 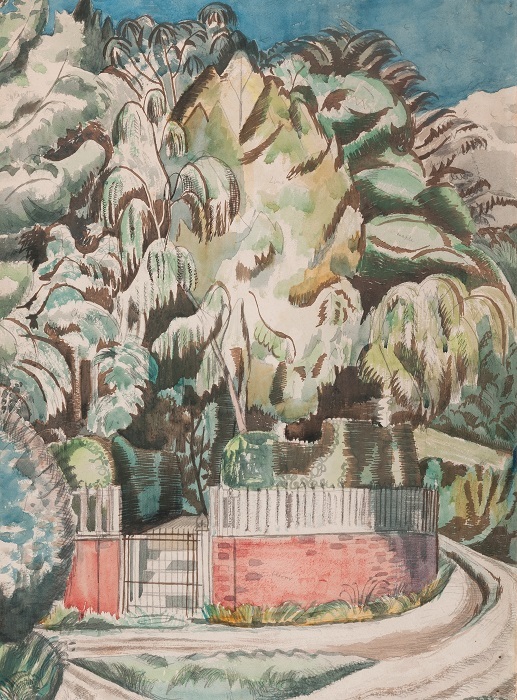 It includes around 50 works and artefacts which give a unique insight into the life of Paul Nash and his brother John. 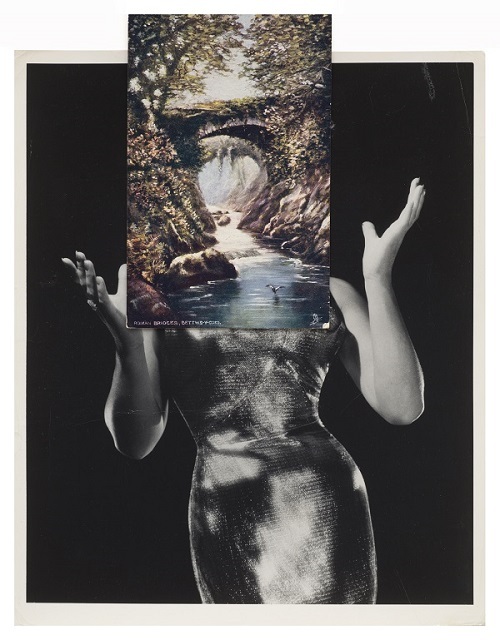 John Stezaker (British, b.1949) is one of the leading artists in contemporary photographic collage and appropriation. 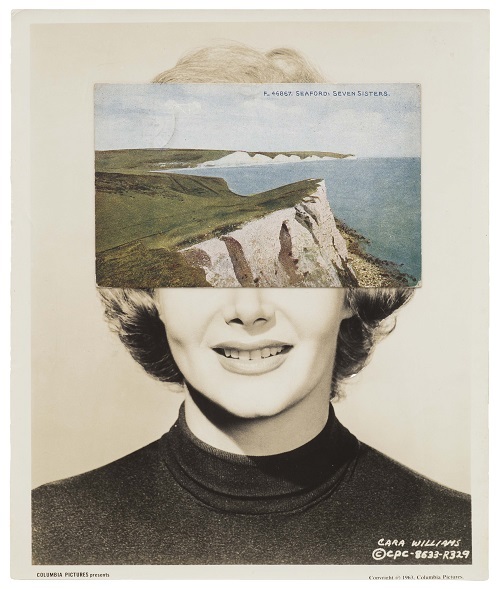 Employing vintage photographs, old Hollywood film stills, travel postcards and other printed matter, Stezaker creates seductive and fascinating small-format collages that bear qualities of Surrealism, Dada, and found art. 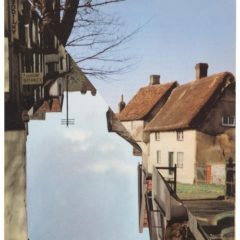 Indeed, in referring to the large compendium of images he has collected, Stezaker asserts that the images “find him,” not the other way around. 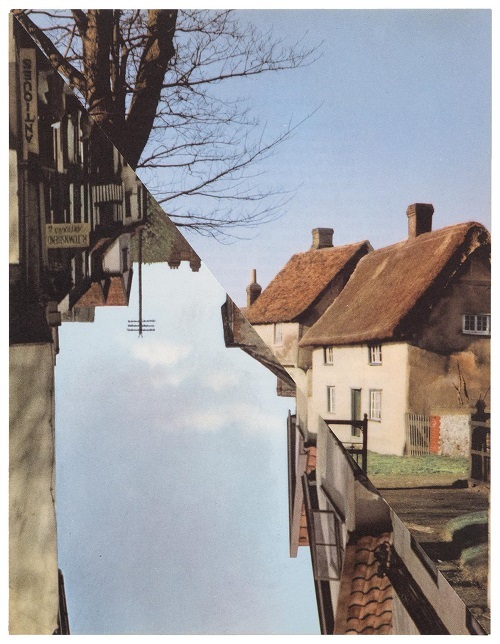 With surgical-like precision, Stezaker excises, overlays and conjoins distinct images to create new personalities, landscapes and scenes.Like Paul Nash, John Stezaker studied at the Slade School of Art, and taught at the Royal College of Art in London. In September 2012, he was awarded the Deutsche Börse photography prize. 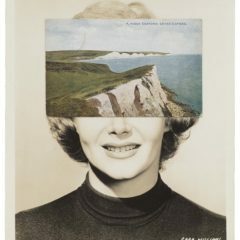 Stezaker’s work has been exhibited internationally since the 1990’s and has been adopted in renowned museum collections around the world such as the Museum of Modern Art, New York, London, and the Tate Modern, London.